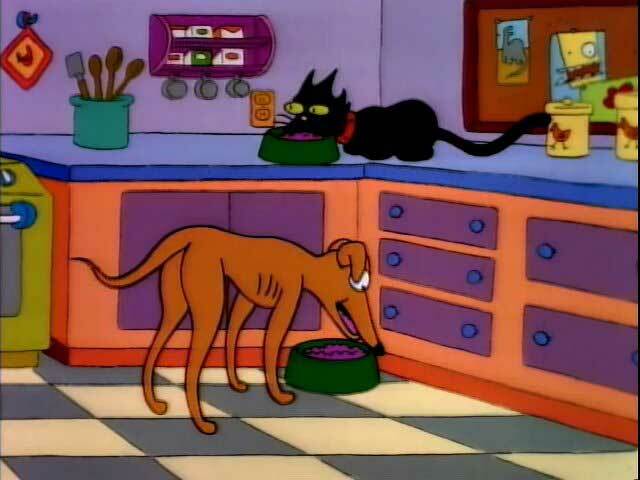 Even the PETS are eating the Purple Mush! 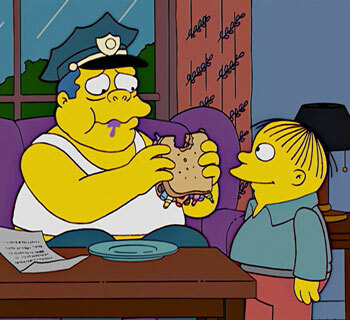 And the Season Three episode “Dog of Death” is good too, featuring chub night! 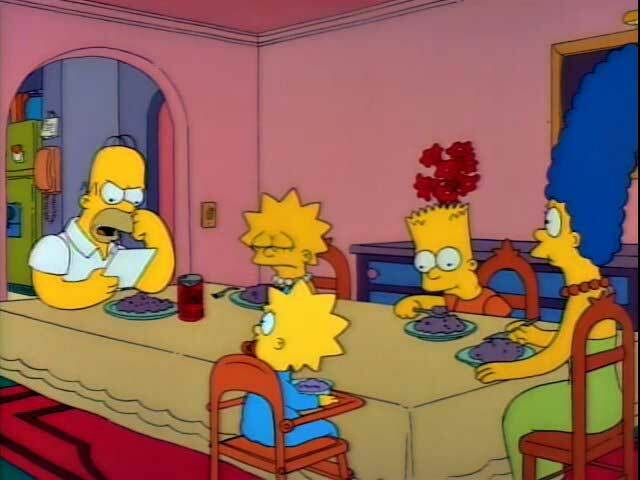 For some reason, in Season Two, the animators didn’t want to bother creating a detailed meal as the family sits around the dinner table and so they settled on “unidentifiable stuff on a plate” as the go-to food option for the Simpson family. Why the Purple Mush Dinners though? Almost any other color would better represent food since so few foods are actually purple. I love how excited that makes Lisa, because it certainly does not make me excited. 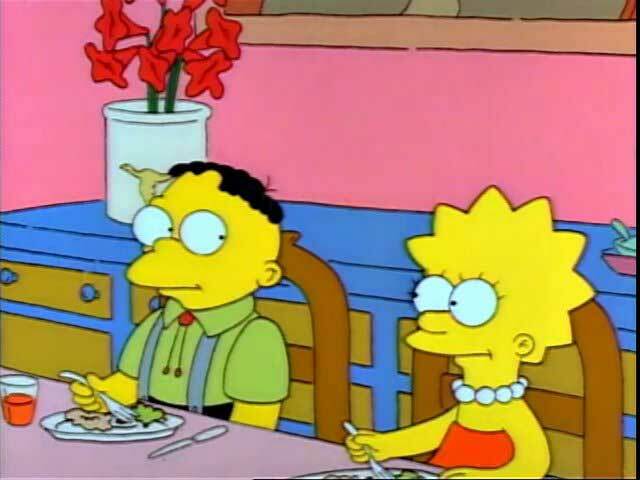 I mean, it has to be something with beets since they were so popular with Springfield’s founder! 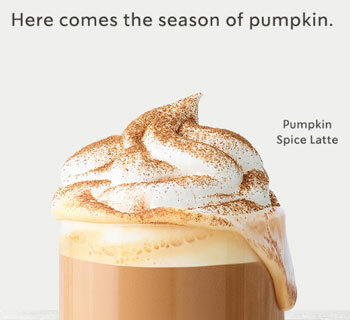 That was a suggestion in the facebook discussion as well! I don’t think American’s know what beetroot is, so I’m left to conclude that this might have been it’s less popular (but very attractive) cousin Rootmarm. 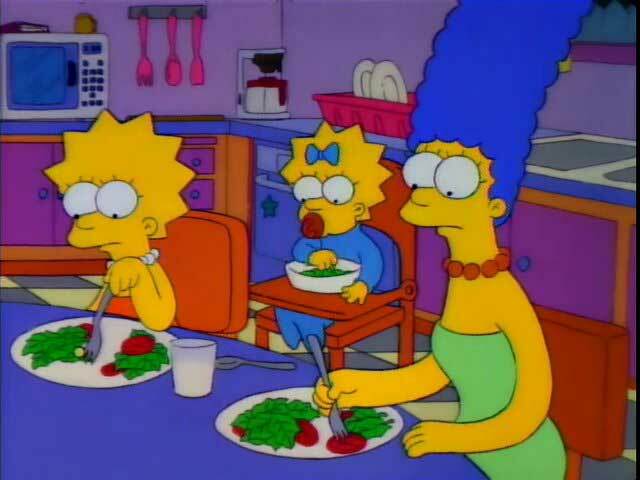 My understanding is that Marge likes to add a little bit of meat juice to Lisa’s vegetables so at least we can be sure she’s getting some protein from that! 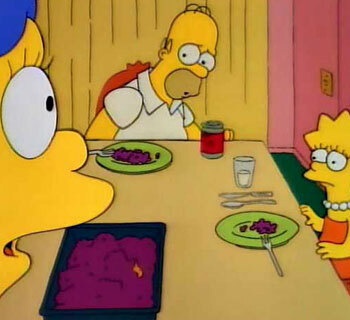 Perhaps in season 2 Marge discovered the “exotic” purple yam (or ube) and was using it liberally in her recipes. I’m now starting to realize this might be a Rootmarm type of dish. 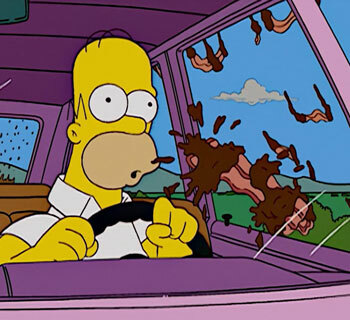 Do we have confirmation that Homer isn’t Marge’s attractive cousin? If they were their kids would’ve ended up being horrible freaks with pink skin, no overbites and five fingers on each hand.